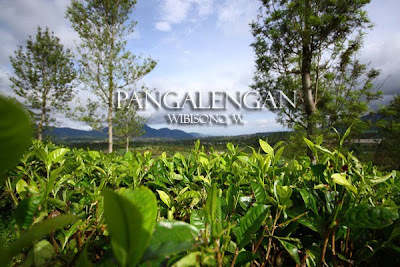 New Year Getaway to Pangalengan. 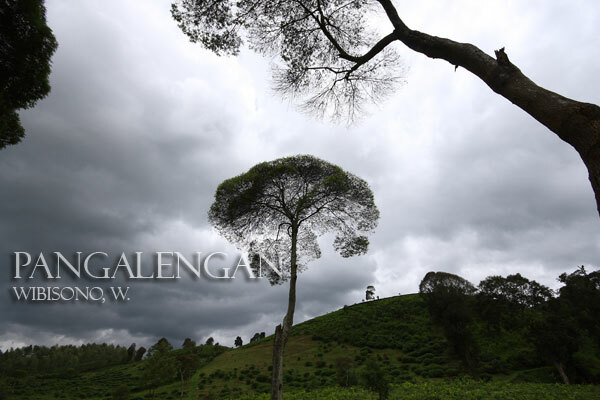 Ever since my first visit in 2005, coming to Pangalengan has always meant walking in the vast tea plantation at Malabar. On my last two visits, it also means staying at the local people's house, living the daily traditional life. After staying at a plantation worker’s house in last July, yesterday, this time with a friend from college, I got the oportunity to stay at a farmer’s house at Gamlok. Waking up in the morning - I sensed that the temperature was about 15 degree celcius - I went straight to the bathroom to take a bath. I couldn't believe it made Pak Yayat and his wife, the host, wonder as they never took a shower so early at 6 in the morning. Leaving the house at 7 for the tea plantation at Malabar, we walked along the narrow unpaved road, used daily by farmers and plantation workers. 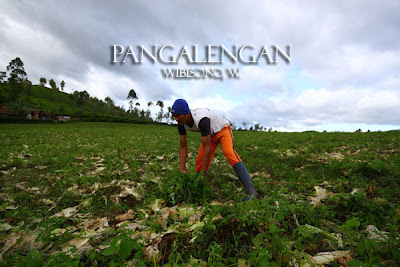 First, we stopped at a small potato farm next to Pak Yayat's house. We were about to witness for the first time in life, how potatoes are cultivated. Four women, each of them was holding a long wooden rod, were ready to sow potatoes seedlings. They made small holes (about 5 cm in diameter) on the slightly elevated ground and used bamboo stick to keep the holes aligned. Then, an old man came with a red basket full of potatoes seedlings. He is the owner of the farm. I regretted however, I didn’t remember his name. As he saw me coming with a camera, he told me about his son studying in Bandung, majoring in Visual Communication Design. He runs a home based industry, making potato chips under a brand of “BBC”. 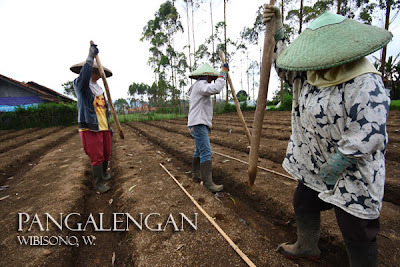 The next few seconds, together with the workers, he sowed the seedlings by putting them in the holes and covered them with soil afterward. On the way up, we stopped for a while at a tomato farm and ended up at vast farm just to take some pictures of a man working to clear the farm before climbing up the hill that led us to the tea plantation. Apparently, it was a post harvest time. 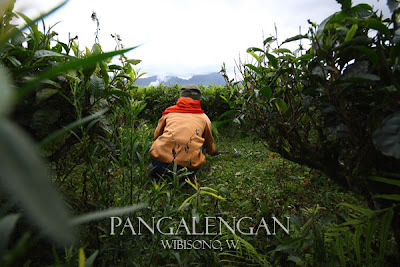 This was actually the best part, wandering in the tea plantation. There was no such thing as clear directions there. We just counted on the only unpaved wet road that had been passed by plantation workers for years. It was a holiday, so nobody worked that day. Only two women were found clearing the land from grass. After several climbing ups and downs, we finally arrived at Malabar. Like I always had done first in my two previous comings, I went to the grave of Bosscha, the founder of this tea plantation. There was somekind of respect coming from my heart toward this man who was very generous. 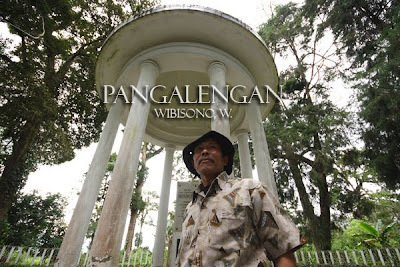 Thank to him, we have a technology university in Bandung (now ITB), the observatorium in Lembang and of course, this huge tea plantation that provides schools for children whose parents work in the plantation. 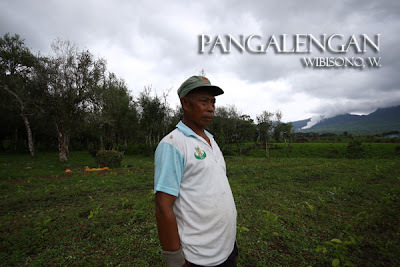 Another routinity was shaking hand with Pak Upir, the 'kuncen' and of course taking his picture. I was a bit dissapointed however as the people cleaning the grave charged us two thousand rupiahs per person for visiting. It was embarasing. 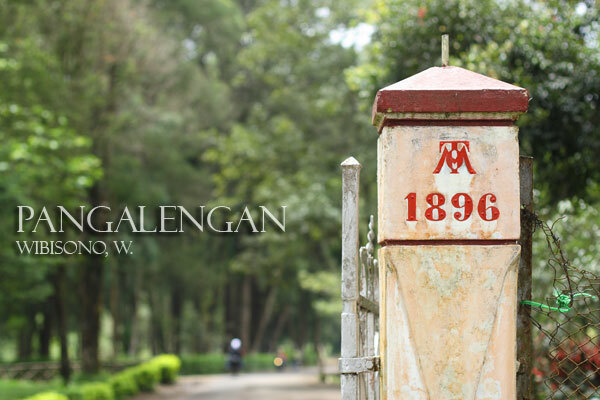 We walked along the road, bisecting the plantation that led us to Bosscha's house. 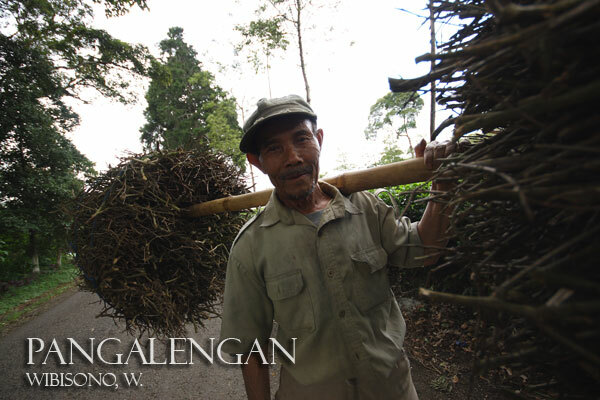 Along the way, we met some people taking twigs of tea plant. They bound the twigs with rope and put them on the head or carried them on the back. 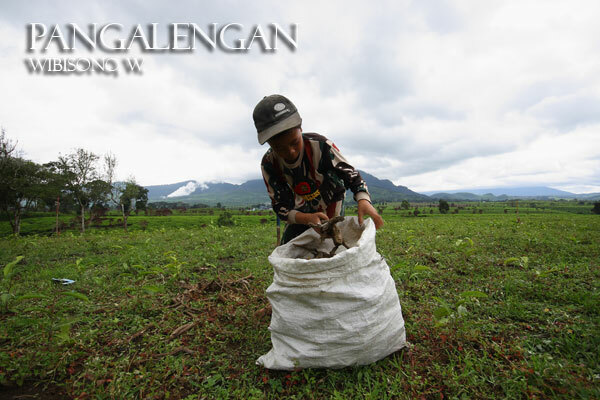 A family, consisting of parents and a son, was clearing a field that had been cultivated with brand new tea trees. That was the first time for me to see what a young tea tree looked like. It took about three years for those trees to grow. A few meters before we reached the gate to Bosscha's house, was standing a very old woman on the road side. 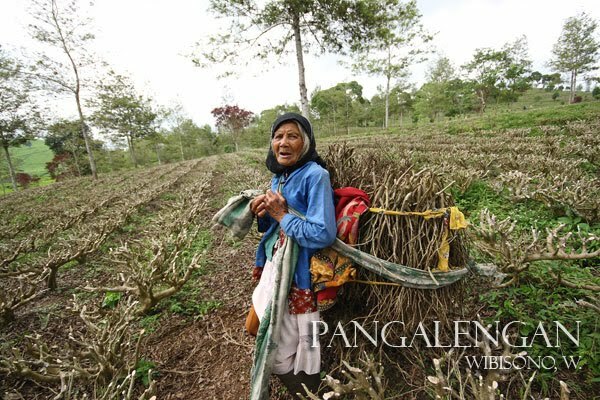 She just finished bounding the tea twigs with a rope. Oh God! 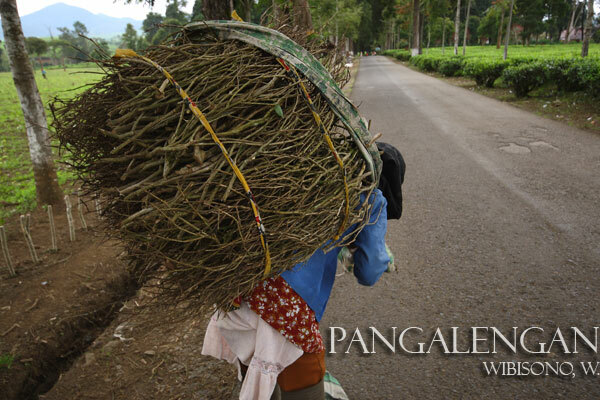 I couldn't help but wonder when she lifts the twigs, which seemed to be heavy, and carried them on her back. She was smiling at me as I couldn't stop staring with wonder at her. So, the ice was broken. We started talking. Her name was Emak Iki. 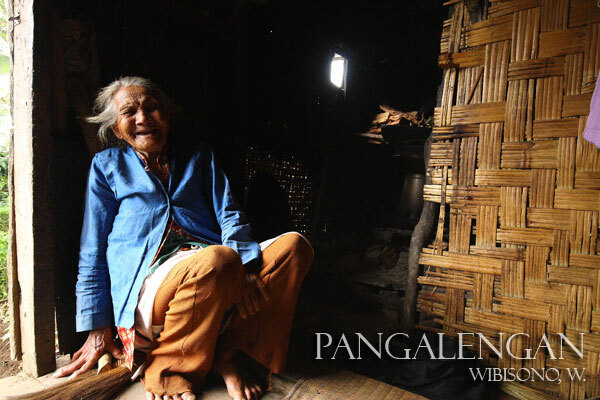 She lived all alone without a husband or any relatives. She picked up twigs everyday and sold them to neighbors. That's how she earns money to buy rice. 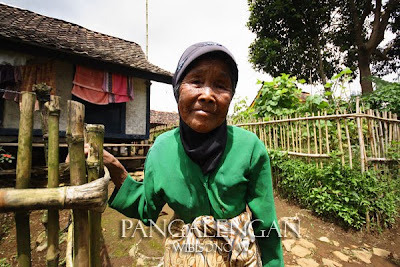 We became interested to know more about this old woman and decidde to walk after her toward her house in a kampong located beyond the plantation. 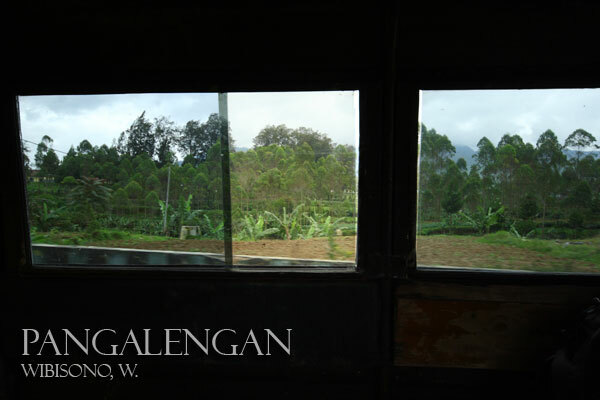 Walking out of the plantation, we entered a kampong dominated by wooden houses, populated by people whose life depends mostly on the tea plantation. And yes, we walked along a wet unpaved narrow road within bushes on both sides. Sometimes we had to cross a bamboo bridge over a small river. It was so typical of kampong. Everybody knew each other. They were amazed to see us coming with a camera. They thought we were some kind of journalist covering a story about Emak Iki. At one corner, was standing Emak Iki’s house. It’s a wooden house built on poles. 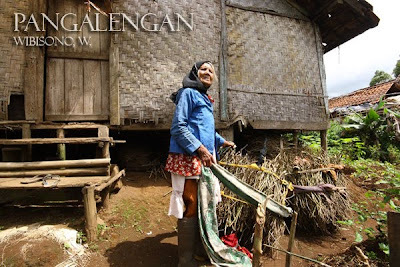 As we arrived, Emak put the twigs underneath the house. So that’s the place she stored all the twigs she had picked from the plantation. There was also a tiny garden in the small yard in front of the house at where Emak had cultivated vegetables. At first, we were kind of not allowed to enter the house as she felt terrible about the house. After cheering her up and convincing her that we had no problem at all with that, she let us in. We stood in an about six squaremeters room lit by one small tungsten lamp hanged on the ceiling. Only through the door, the sun light could penetrate the interior. 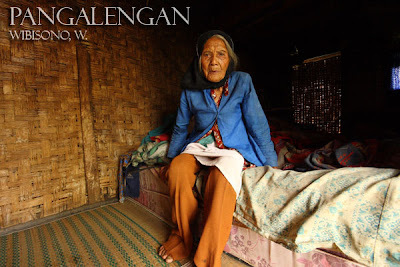 There was only one bed on which Emak put all her clothes and belongings. As we sat on the bed, a big yellow cat jumped out through the door. That reminded me of a Sundanese folklore about an old single woman who spends her life with a cat. 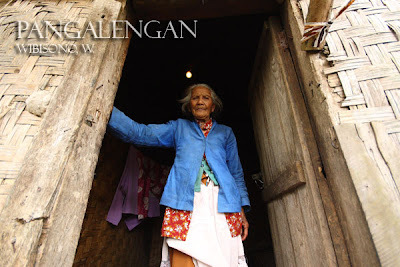 While talking with Emak, I took some pictures of her sitting close to the door. The house consisted of two rooms; the bedroom and another one next to it. To me, it looked like a storage. To Emak, it’s the kitchen. After spending like ten minutes at the house, we left and head to the plantation. Along the walk, I took pictures of children and an old woman. They were nice people. 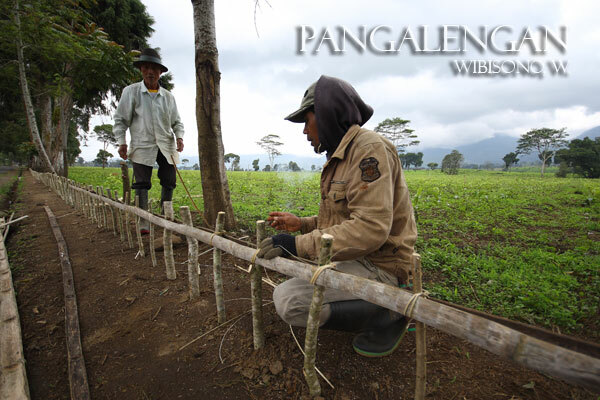 Back to the plantation, I only took a picture of two man assembling bamboo fences before heading back to Pak Yayat’s house at Gamlok. It’s almost 3 pm at Gamlok. I came to a dairy farm, just a few meters away from Pak Yayat’s house. 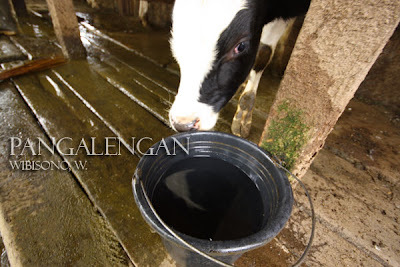 It was the time for squeezing the milk out of the cows. Of course it was not me who's gonna do the job. I just wanted to capture the moment. At 4pm, we decided to go back to town as we had to catch the bus to Bandung. oww..photo essai yang menawan,Bi 8-> pendekatan humanisnya asik bgt nih..mantap! 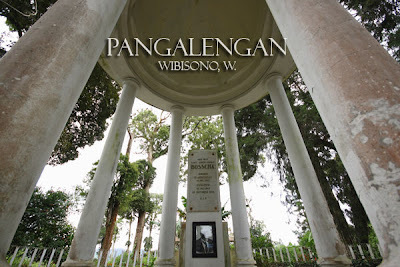 meski gak baca detail kehidupan si nenek, kayaknya foto lu mewakili 95% keadaan beliau. Semoga si nenek selalu diberi kebahagiaan. Been there many times, too bad I never had a chance to 'record' my visits. Thank you for bringing good memories. Good work. I'm glad that this posting has brought good memories to you. Thanks for coming to my blog.